Join iATN / Forgot Login? Login with a 3rd party account. Or login by choosing one of the account types below. play Watch a short video about iATN. Watch a short video about iATN. Since 1995, automotive professionals have enjoyed the benefits of iATN membership. 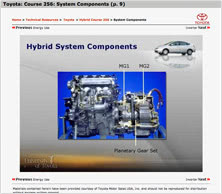 The following overview will help to further illustrate what's inside iATN, for those that are qualified to join: automotive pros with at least four years of experience or ASE certification. iATN TechHelp is the heart of our network. This is where thousands of automotive technicians from all over the world exchange information and ideas, 24 hours a day. The system provides a structured way to receive help for free, in exchange for offering your own help in return. 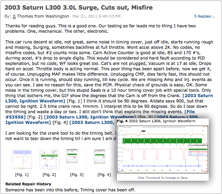 Searchable automotive repair knowledge: Our FIX Database of hundreds of thousands of real-world vehicle fixes, our Forum Archives, consisting of millions of iATN web forum discussions, our Waveform Library containing thousands of waveforms, scandata, component photos, documents, and more. Here you will talk with other automotive professionals on a variety of specific automotive topics, including not only the technical side of repairing vehicles, but also industry issues, shop management, automotive education, and more. 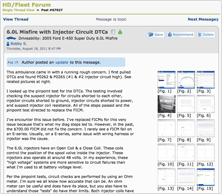 Over 20 different web forums available. Members have access to a wide array of technical information published on iATN from many of the OEMs, government resources and industry heavy-weights. Information ranges from manufacturer-specific information, to government regulations and useful online tools. 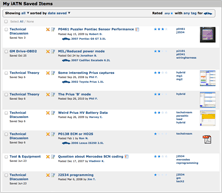 Members use "My iATN" to instantly save, categorize, sort, locate, and share their favorite items on iATN. 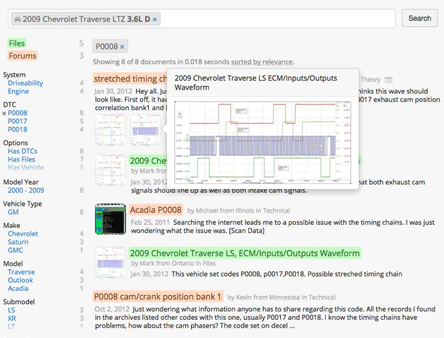 When performing research on iATN, they save the most pertinent results under a single label specific to their customer's vehicle or topic, and easily refer to it later to complete the job. 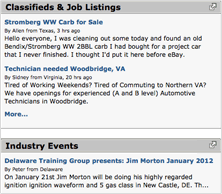 Marketplace includes the Classifieds Forum, for job-offered or job-wanted ads, and non-commercial automotive items for	sale; the Industry Events Forum, to announce or discuss training classes, seminars, conventions, and more; and iATN members-only discounts. You will find live conferencing rooms on iATN 24 hours a day, so that you may easily chat with your fellow iATN members. 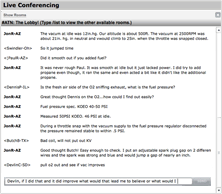 Unlike most other anonymous chat rooms on the internet, ours is only available to the automotive professionals on iATN. iATN membership is available for FREE for those that are qualified to join. This basic membership provides all of the core features of iATN. To get the most out of iATN, we recommend one of the paid account options detailed in our comparison chart. Read More About "My iATN"